Home › Energy-Efficient LED Lighting › Woods 0151 18/2 Spt-2 Clamp Lamp Light W/ 8.5-Inch Reflector 150-Watt 6-Foot ..
Woods 0151 18/2 Spt-2 Clamp Lamp Light W/ 8.5-Inch Reflector 150-Watt 6-Foot ..
Woods 0151 18/2-Gauge SPT-2 Clamp Lamp with 8.5-Inch Reflector, 150-Watt, 6-Foot Cord. On off push through switch and rugged molded-on plug.This lamp will accept up to a 150-watt Light bulb with a standard Medium Base.Find many uses around your home or office. 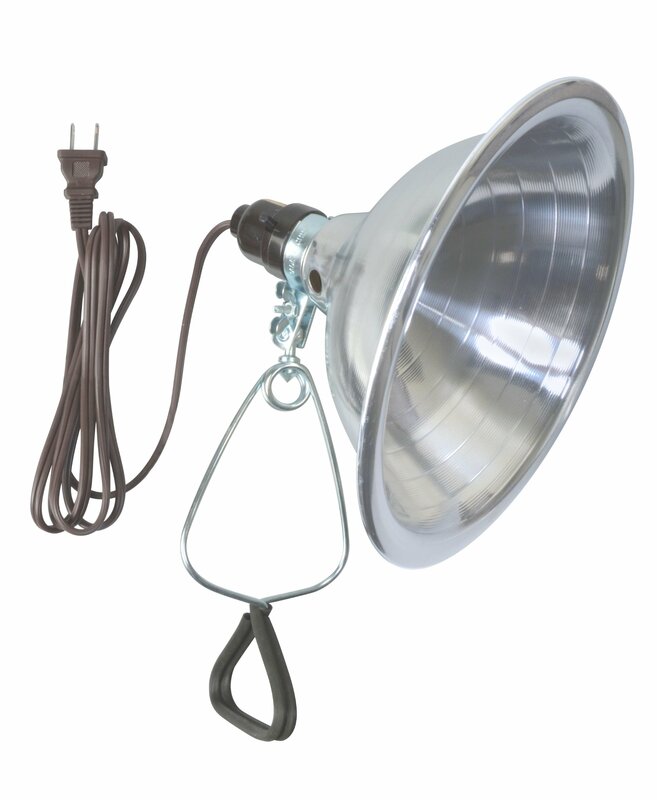 Provides extra light in workshops, basement, or garage. Versatile multi-use utility lamps with polished and vented aluminum reflectors. Each unit features a double ball universal joint, non-marring grips and a clamp-on bracket. Industry Approvals: UL Listed. The Woods (R) brand is a registered trademark of Coleman Cable Inc.